BAKERSFIELD, CA. 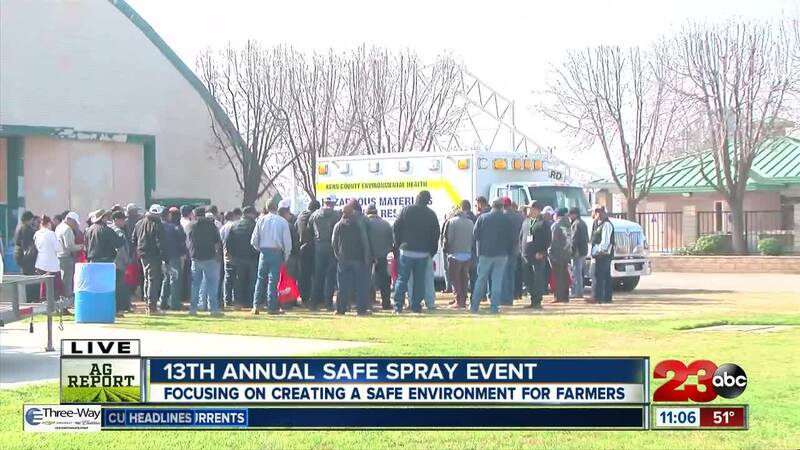 — The 13th Annual Spray Safe event hosted by the Kern County Farm Bureau allowed hundreds of agricultural workers to learn how to prevent pesticide-related accidents. The event took place on Friday, January 25th at the Kern County Fairgrounds from 8 a.m. until 1 p.m. Hundreds of members from the agricultural community attended the event on the fairgrounds. There were about six workshops including decontamination, fire prevention and spray application. "The year I learned a lot about communication, which is something I didn't learn in the event the past years that I've come," said Hernandez. Organizers of the event hope it will spark conversation and increase knowledge of good communication and practices in the agriculture community.